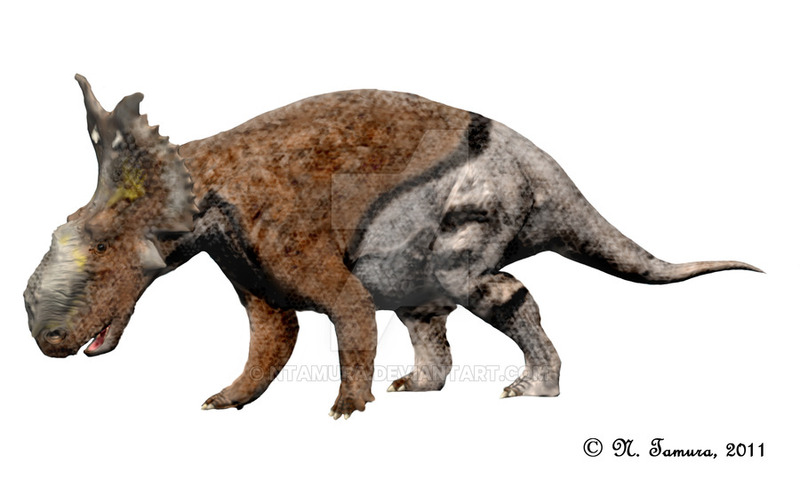 Pachyrhinosaurus was an herbivore that was approximately 20 to 26 feet long, about 6 feet high and weighed around 2 to 3 tons. 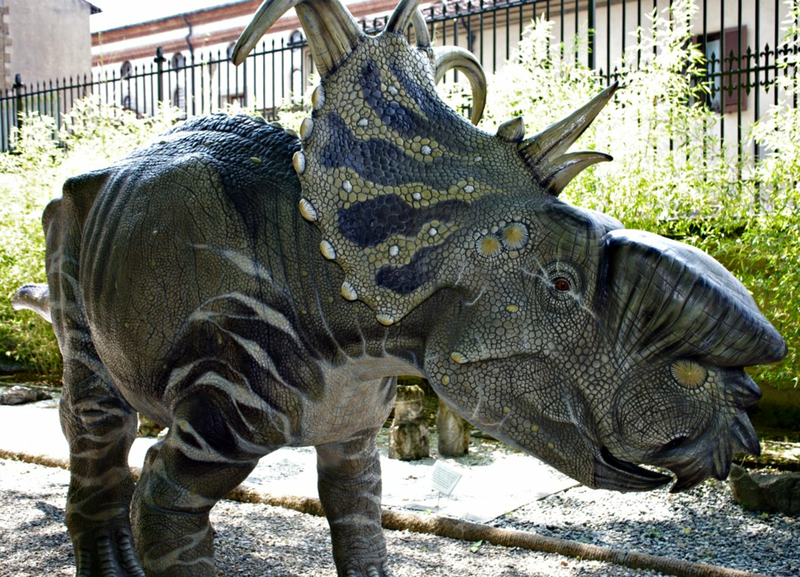 Like other dinosaur’s in this dinosaur order, the Pachyrhinosaurus had a large bony frill that came out of the back of its skull. 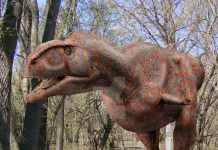 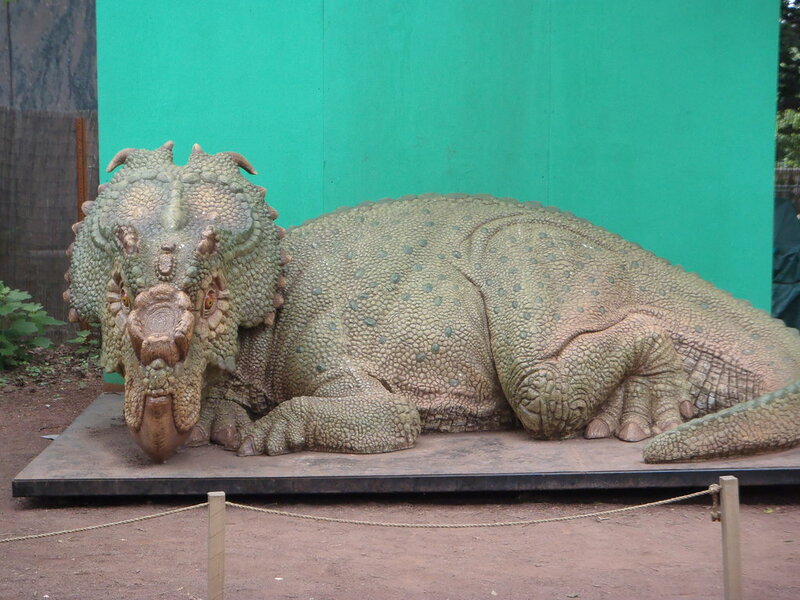 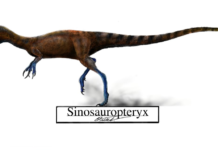 However, what makes this dinosaur different from the other ones in it dinosaur classification is that instead of horns on its nose it had a large bony bump called a “boss.” It did have a pair of horns that grew out of the top of its frill and it may have had horns over its eyes. 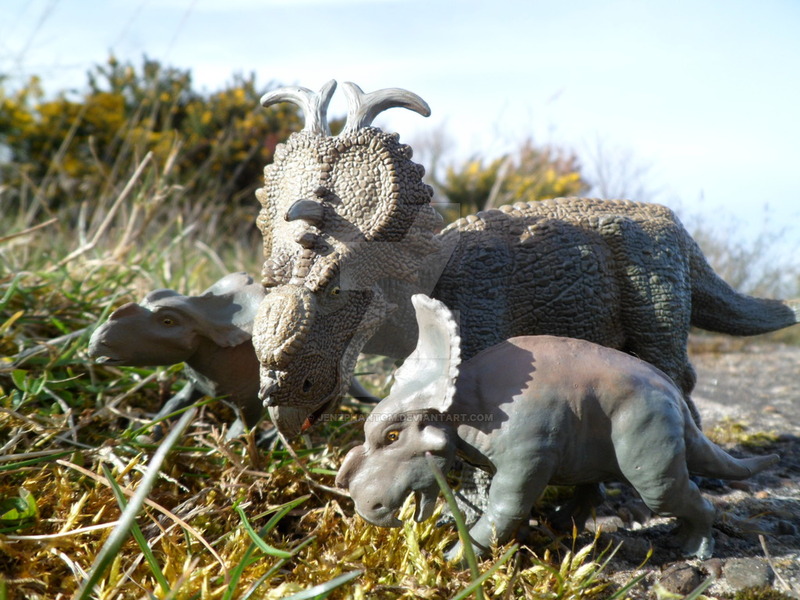 Like other herbivores of this time, the Pachyrhinosaurus probably traveled in herds that kept it safe from predators. 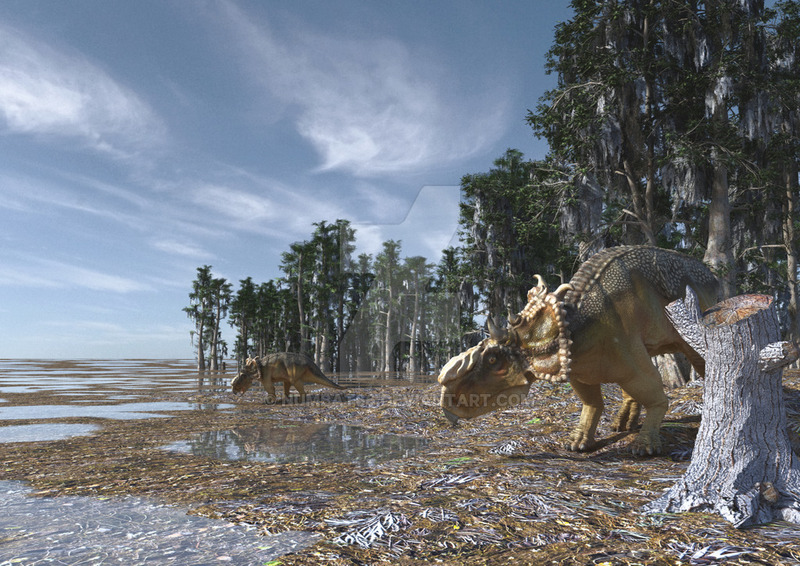 Paleontologists believe that some of these herds may have had hundreds or thousands of animals in it at one time. 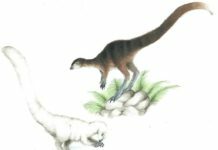 If this was indeed the case, then it would have made it quite difficult on predators. 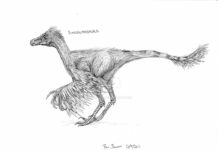 It is also likely that these dinosaurs also nested their eggs like modern birds and may have even taken care of them. 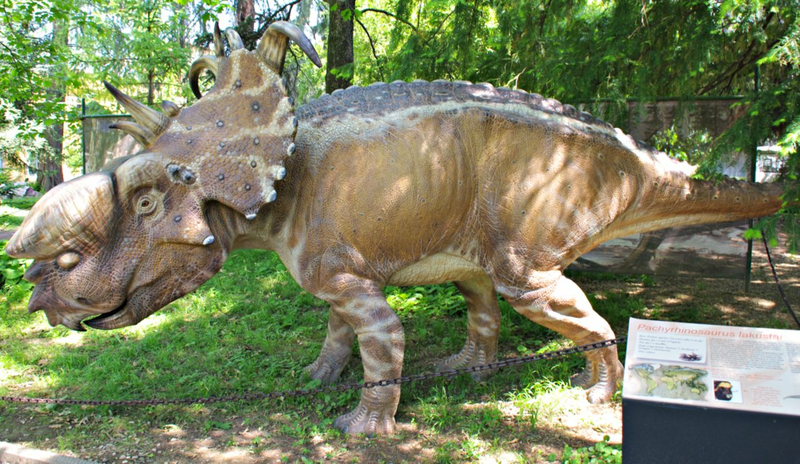 This has been found to be the case in other dinosaur types such as the Protoceratops and the Styracosaurus. 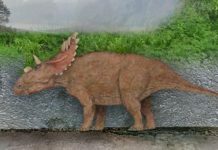 Paleontologists believe this animal probably lived off of a diet that consisted mainly of palms and cycads and other tough plant material that it could tear off and crush with its beak. 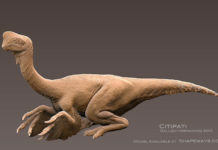 It also had cheek teeth that it could use to further masticate this tough plant material, making it easier to digest.